Awhile ago I posted about our Sunday Sorts (sorting folder activity- perfect for quiet kits or just plain educational fun!). These sorts are simple, and only require the cards and a folder. 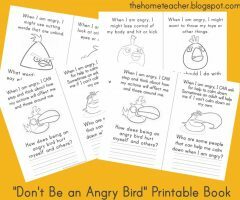 We like these parent/teacher communication folders because of the clear inside and outside pockets! 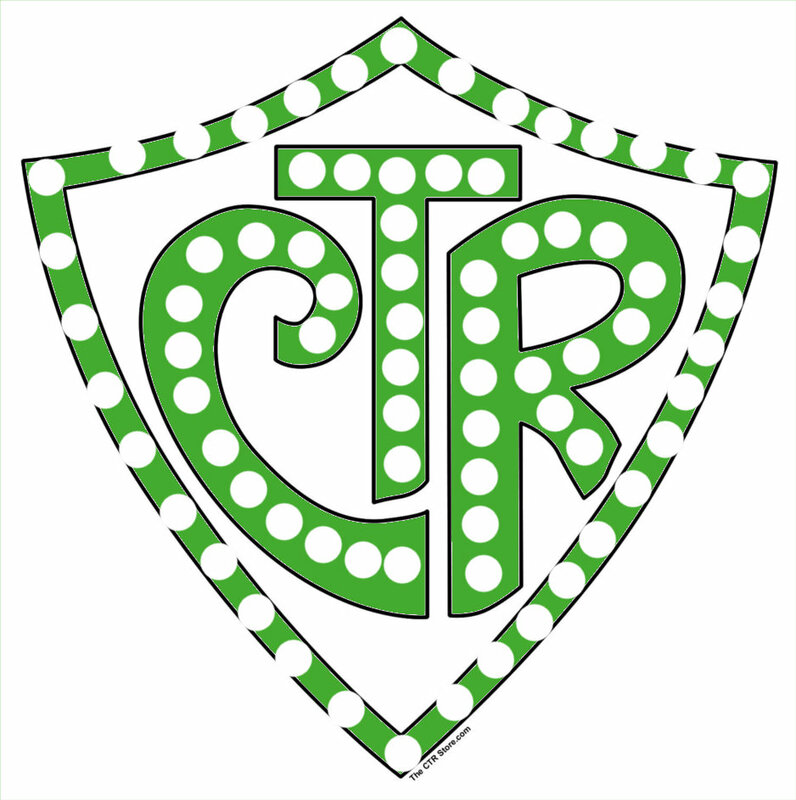 I created this sort on the computer awhile ago- haven’t printed it yet due to low ink – and for that reason I have been putting off this post. So I apologize that there are no darling pictures of my girl playing with these cards…. maybe when I get around to buying ink (it’s so dang expensive!) I will have to update this post! 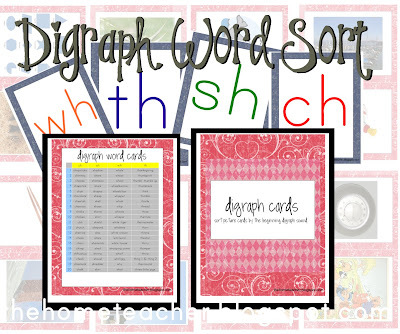 These cards took a long time and I am hoping that many of you out there in the blogosphere are able to use them!! 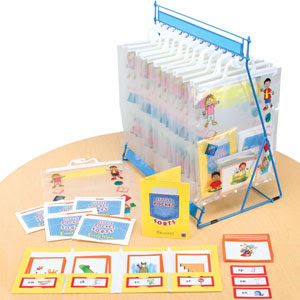 This entry was posted in learningtime, literacy, phonics, quietkits, reading and tagged digraph, pocket sorts, sorting folders on February 12, 2012 by ktoponce. 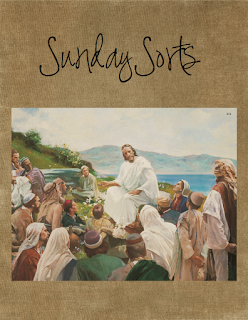 You can download the cover for our Sunday Sorts HERE. Our next Sunday Sort is capital and lowercase letters. I have all the letter cards and folder labels available for download HERE (can also be found on our wiki). You can also change it up a bit by sorting vowels and consonants (easy since all the vowels are in red! ), letters in name and letters not in name, letters I know and letters I don’t know, etc…. It’s all about becoming familiar with the alphabet! 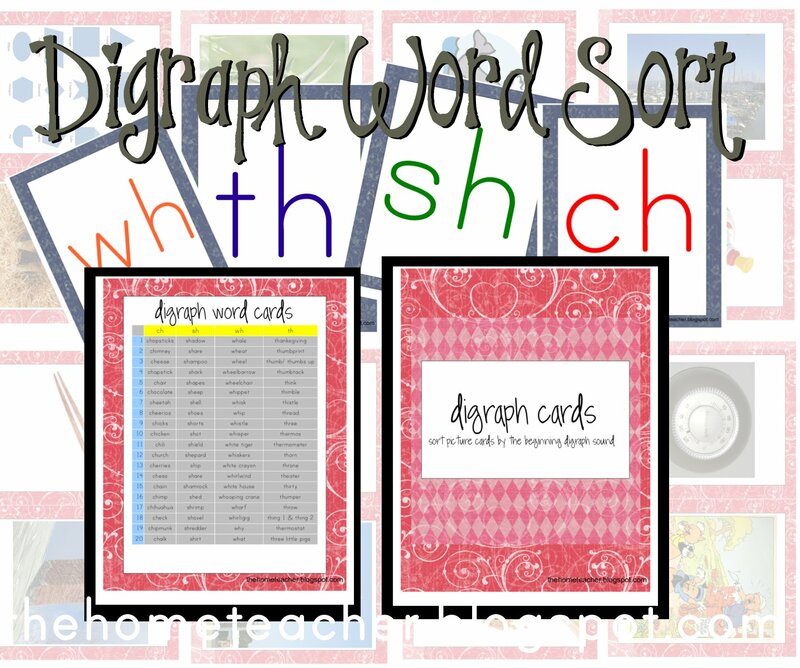 Happy Sorting and Happy Teaching! On a completely random note- my husband and I watched the first episode of Walking Dead (well, I actually only watched the very beginning before a near panic attack)…. now I am paranoid of a zombie attack! Augh! Scariest show EVER!! This entry was posted in alphabet, learningtime, quietkits and tagged pocket sorts, sorting folders on October 17, 2011 by ktoponce. Conference cubes- I have learned the best way to engage a child in a learning activity is to speak to their interests. I have a wonderfully energetic and vivacious daughter, and so anything gross motor is FABULOUS. I thought it would be fun to use our Education Cubes to play an interactive conference dice game. 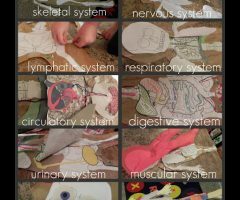 (Check out the Education Cube website- it has been a fun addition to our learning time activities! You can purchase the soft cubes with clear plastic pockets from CP toys ) If you don’t have these cubes, number dice would work- just assign each activity a number. Some of the activities will engage my daughter in the talk, while others will keep her mind busy on church related activities. Book basket- thumb through church books, scrapbooks, church magazines, children’s book of mormon, and various church pictures we have on file. Church flannel board stories. In my mind I see it all perfectly- the speaker mentions a scripture story, my daughter whips out the corresponding felt story set and does a perfect reenactment of the story alongside the speaker. In all reality, that probably won’t happen. BUT simply playing with church related flannel board stories is an appropriate Sunday activity and definitely realistic. If you don’t have felt church stories, no worries. Chocolate on my Cranium has TONS of free downloads that you can prepare in advance or have the kids color and cut them out while watching conference. 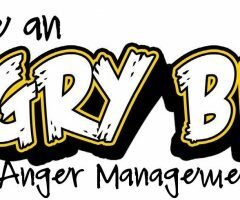 Try some of the Conference for Kids activities mentioned on SugarDoodle. I especially like the ideas from A Little Tipsy and Mormon Mamma. There are also church related dot-to-dots from My CTR Ring. I am thinking that my daughter can do a conference packet if it is only during one talk. We’ll see. having my daughter jump on our little exercise tramp during one of the talks. It would meet all her energetic requirements, but lacks a little on the reverence scale…. pulling out our I Am A Child of God Quiet Kit, but that gets used a lot on Sundays and I want to try something new! Conference bingo from Latter Day Chatter… darling but maybe something we will try when Boo is just a tad older! I hope you and your kiddos have a wonderful time listening to General Conference! This entry was posted in general conference, lds, quietkits and tagged education cubes on September 26, 2011 by ktoponce. My daughter is LOVING the ABC’s. 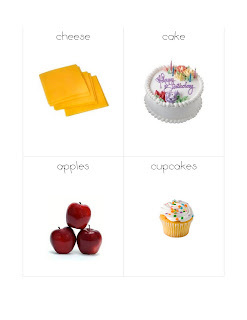 I compiled a few of our different alphabet activities into a quiet kit for church that I thought I would share with you! When you see the scissors – that indicates an activity or a great website with ideas to download for you to make! alphabet flashcards- we found some for really cheap at a going out of business sale, and I know that dollar stores sell them as well. I also made her set with x-rays for our letter x day. alphabet movement cards– there is a movement activity that goes along with each letter of the alphabet! abc’s of church coloring book- feel free to download here! Enjoy! Happy Teaching! Please share any other alphabet quite kit ideas! I love learning from you all!!! (Now isn’t that the sign of a true teacher- one who loves learning!! 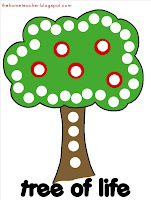 This entry was posted in alphabet, literacy, quietkits on October 2, 2009 by ktoponce. Here is a PDF that you can download and enjoy! Just click on the A is for Amen coloring page below to download the entire A-Z alphabet book!! This entry was posted in alphabet, church, literacy, quietkits on August 10, 2009 by ktoponce. Our second quiet kit is ready for a special Easter gift. I wanted this one to be more Christ-centered so that although she may not be understanding much during the talks at church, she will still be learning about Him! This will be the quiet kit we will save especially for Sunday whereas the other ones will be used more as learning kits at home. I have done some research online and found some additional activities to add on. And I am sure that as time goes on I will add more, so plan on at least one update post! 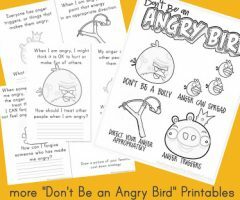 Here is a pdf of some of the pages (without the copyrighted clipart) that you can add to your quiet kit or simply have your little one color! I created a book to the song I am a Child of God by Naomi Randall. 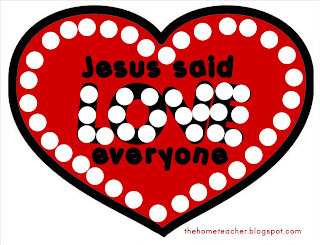 I love that song- it teaches such an important and beautiful lesson that we are children of a loving Heavenly Father! 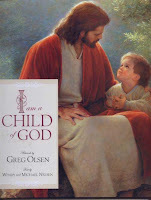 I went and bought Greg Olsen‘s book I am a Child of God- it is such a beautifully written and illustrated book. I am also planning on rotating through her other church books, so every week its not always the same. Here is the pdf of the I am a child of God book for you to make for your little ones! I wanted this felt activity to be based on the FAMILY, so I printed some of Amy Dott Harmer’s stick people: mom, dad, babies, sister, brother, grandma, grandpa, and a home. This is open ended felt play where she can play with the family interacting with each other. 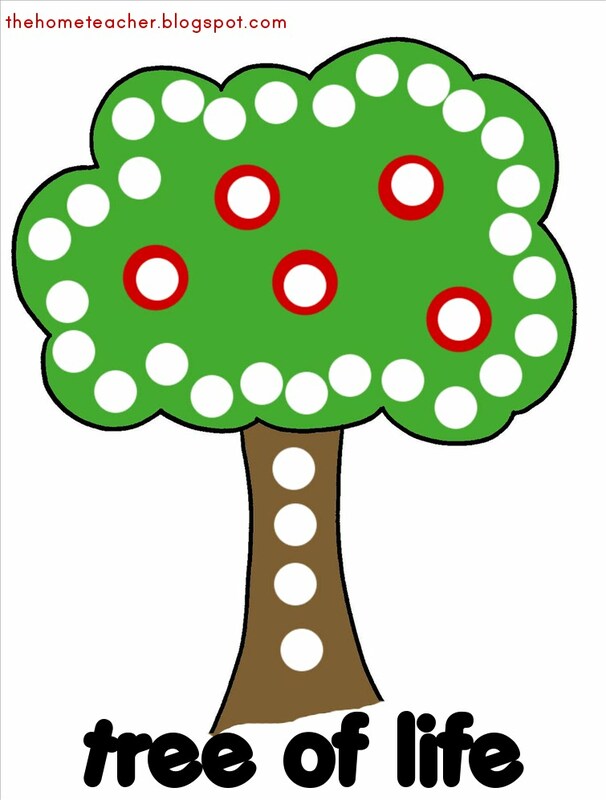 I also printed Amy’s clipart explaining Heavenly Father’s plan that will be great for Family Home Evening lessons. I found this felt Noah’s Ark story and originally had it in my animals kit but I have moved it here. 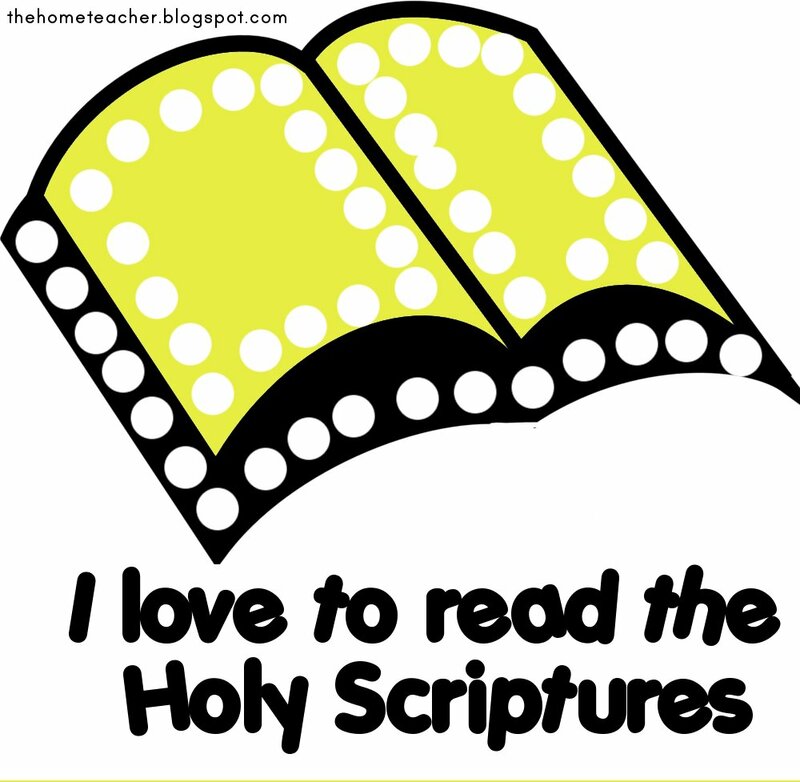 And check out this website for several scripture stories with images ready to print to use on your felt board! You can print them off in black and white for the little ones to color as well!! Or attach a magnet for a fridge activity! I have been staying up late researching some fabulous sites with great ideas and came across a few- unfortunately I don’t remember where I found some of these activities!! I just got “download” happy in the late hours of the night! So if I am posting about one of your ideas, please let me know where I found it so I can give you proper credit. Remember Jesus Wheel– this is a great way to remember Jesus and different aspects of his ministry. It’s fun for the little ones to spin, too! Just color the pages, cut out the circles, and attach with a brad. 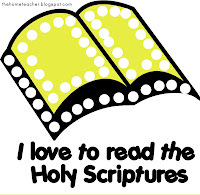 Sacrament Book – let’s face it, I love books! 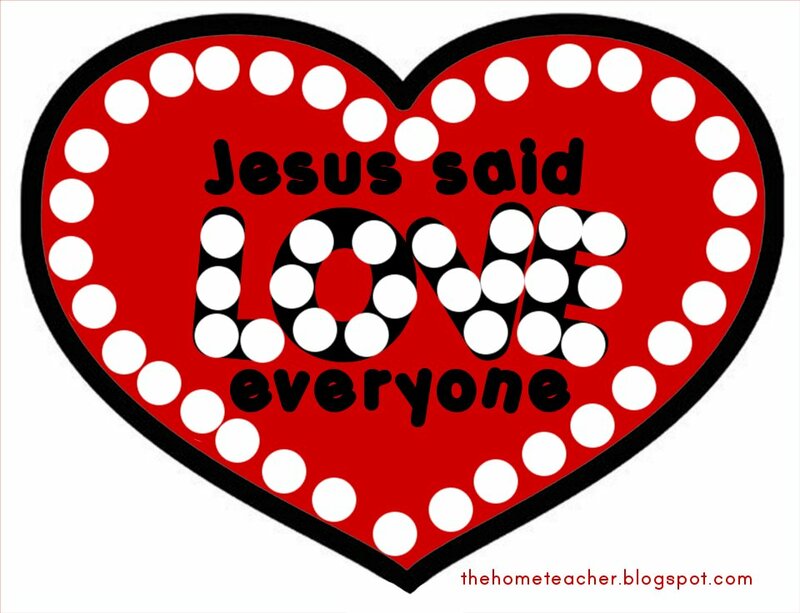 This is a cute little book I found online somewhere that the kiddos can put together and color, and then read to remember Jesus. Sacrament Manners Match Game– print of two sets of these cards from churchbabies.blogspot.com and you have a little memory game about what is appropriate during sacrament meeting. Sacrament Tray and Pictures of Jesus– this adorable activity that I found at sugardoodle.net (this week’s Wednesday website) is a great way to connect the sacrament with the life of Jesus Christ. Color your own! Religious puzzles– It’s a coloring activity that your child can reuse again and again as a puzzle! Magnetic Noah’s Ark– a great way for little ones to play/learn about Noah! Treats are what keeps us going… feeling spiritually full doesn’t always mean our tummies are that way, too! Especially if you happen to have church right during lunch!! This is just a list to start with… I would go through it and see what would work for you and sift it to about 5 activities. Keep the end in mind that we want our children to be able to sit through a talk eventually and too much entertaining might delay that behavior. I will post pics after I am finished putting it all together! This entry was posted in faith & family, quietkits on April 7, 2009 by ktoponce. I am having WAY too much fun creating and compiling materials for my quiet kits!! My daughter has loved the Animal Kit so much that we have to do some activity from it every day (mostly the flannel board activity– she is getting really good at animal sounds and recognizes all the animals I have made by name!) Another thing I love about the kit is that all the animal materials are organized in one location. It keeps everything neat and tidy- and with the expandable file folders there is always room for more! Using the same clipart from her flannel board and lacing cards I whipped out some cards (2 of each animal) to play different games. The game we are working on is “Find the Match” where the cards are all face up and you find the two cards that match… easy as that! Eventually we can work up to playing Memory with the cards face down! But for now she loves it! I added a few new animals to this game and she gets a kick out of them- it’s amazing to me how their little minds just soak up learning! When I mapped out Jackie’s curriculum for the month I knew I wanted to work on Big and Small. I thought a great transitional activity would be to make big and small animal cards… since I had already created animal cards it didn’t take me very long. I have kept this activity very simple- I will show my daughter the 2 dog cards and have her point out the big dog. I am excited to work on the I Am A Child of God Quiet Kit… I am planning on having it ready as a special Easter gift for my special little girl! This entry was posted in quietkits and tagged animals on March 14, 2009 by ktoponce.